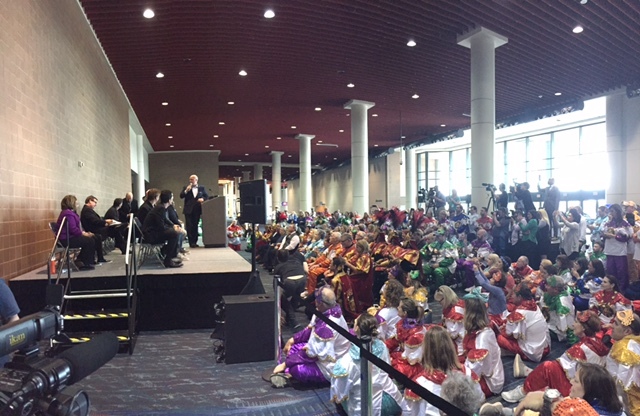 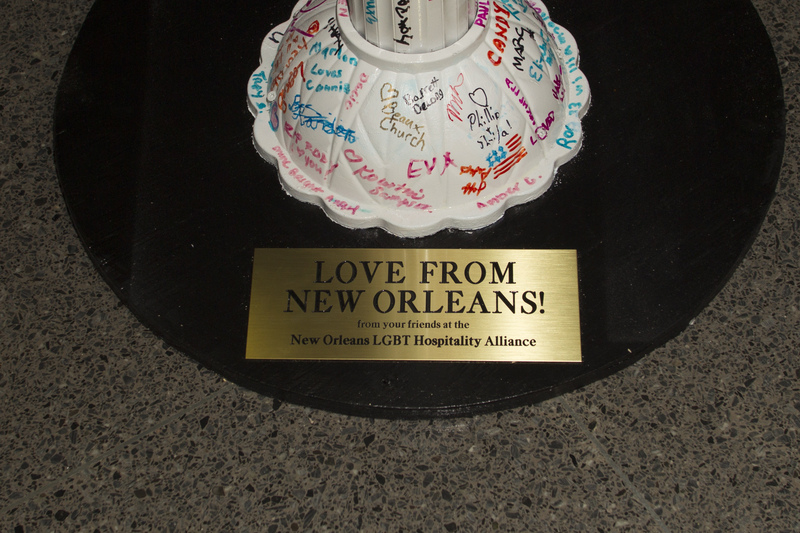 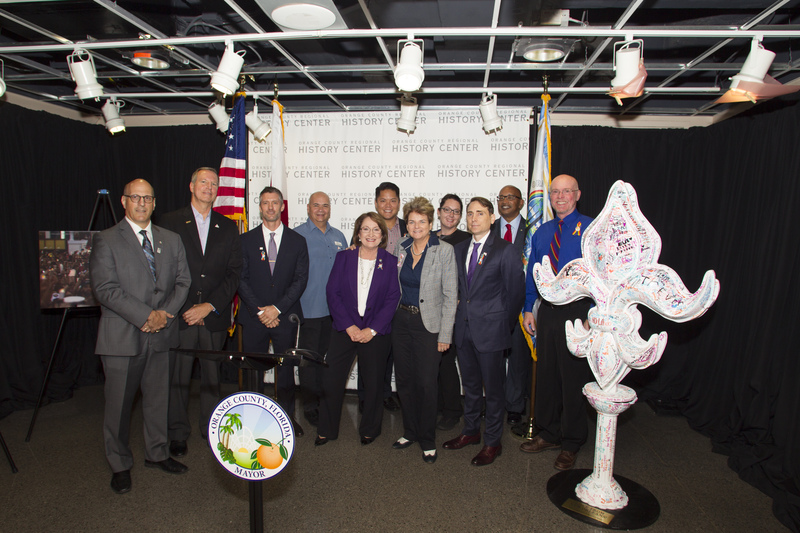 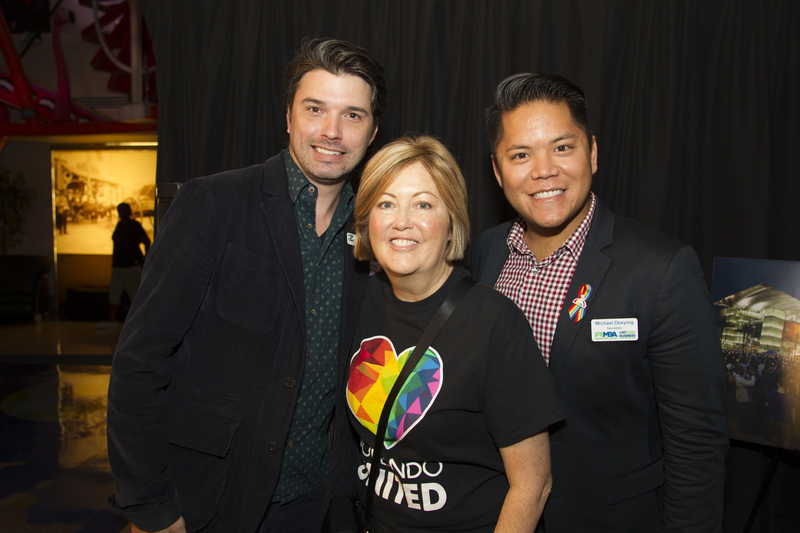 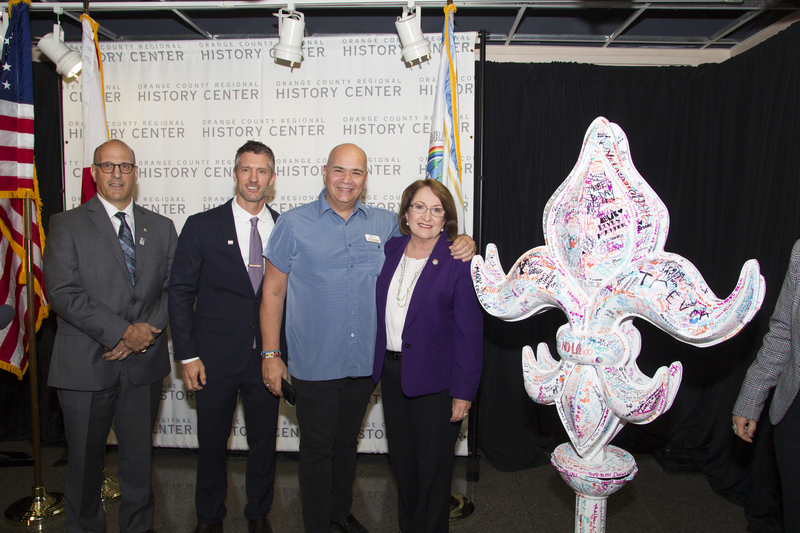 On February 27, Orange County Mayor Teresa Jacobs was honored to join New Orleans Mayor Mitch Landrieu and local dignitaries, as well as the New Orleans LGBT Hospitality Alliance and the New Orleans Tourism Marketing Corp., to celebrate Mardi Gras. 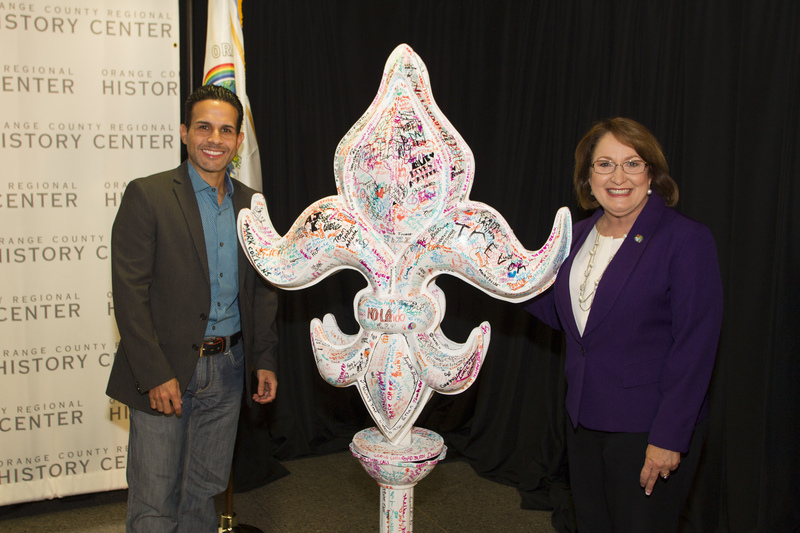 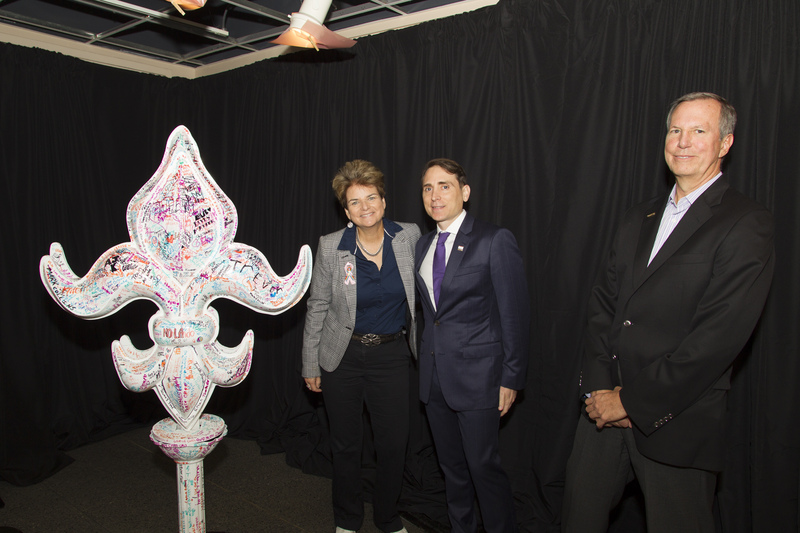 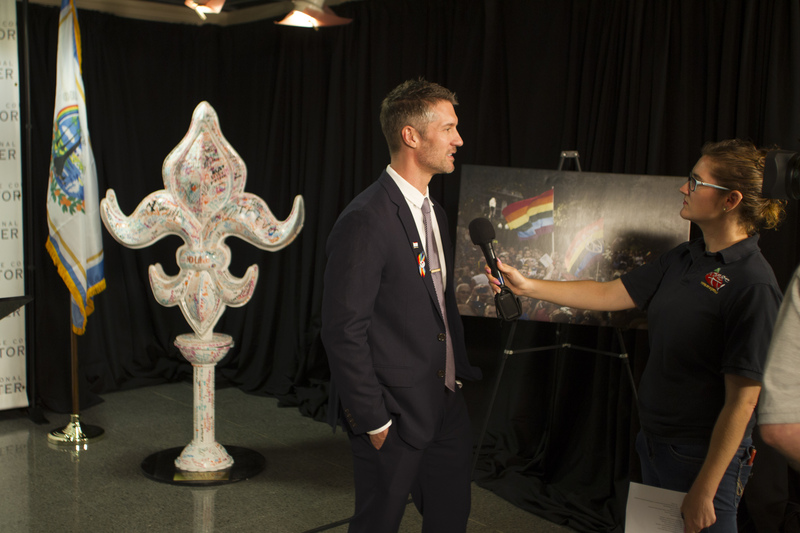 Mayor Jacobs was in New Orleans at the invitation of Jeremy Cooker, Vice President of Marketing and Special Projects for New Orleans Tourism Marketing Corporation, who invited her to the Mardi Gras celebration during a special ceremony in October 2016, when Orange County received a one-of-a-kind fleur-de-lis sculpture honoring the Pulse victims and families. 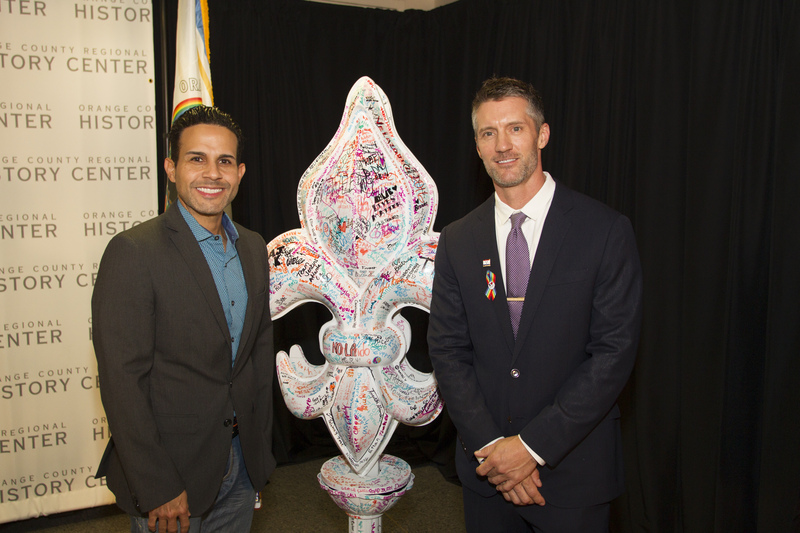 This year, Mardi Gras included a Pulse remembrance, and welcomed Pulse survivor Leo Melendez in the procession. 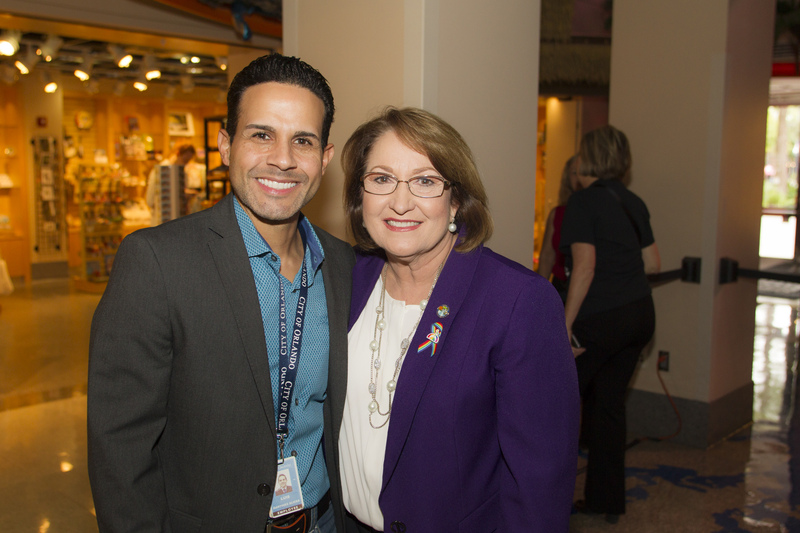 Leo sustained devastating injuries and spent several weeks recovering at Orlando Regional Medical Center. 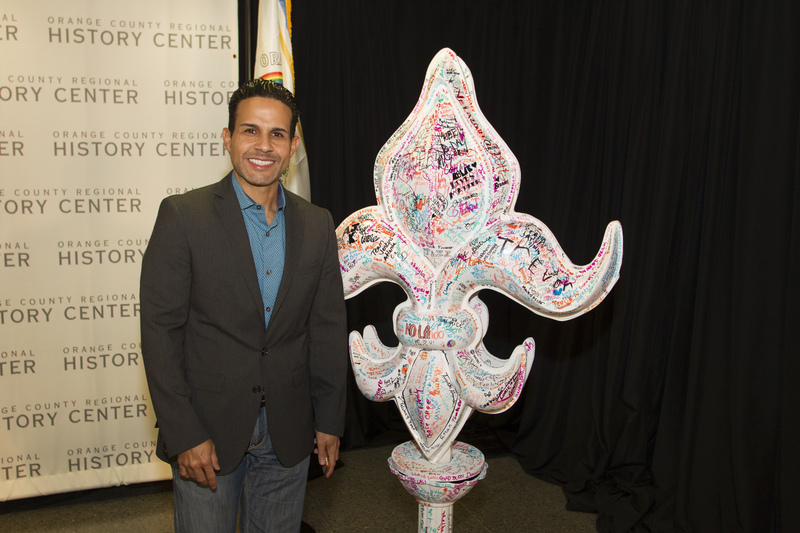 Since being released, he has moved back to his hometown in Louisiana to be closer to his family and continue his recovery. 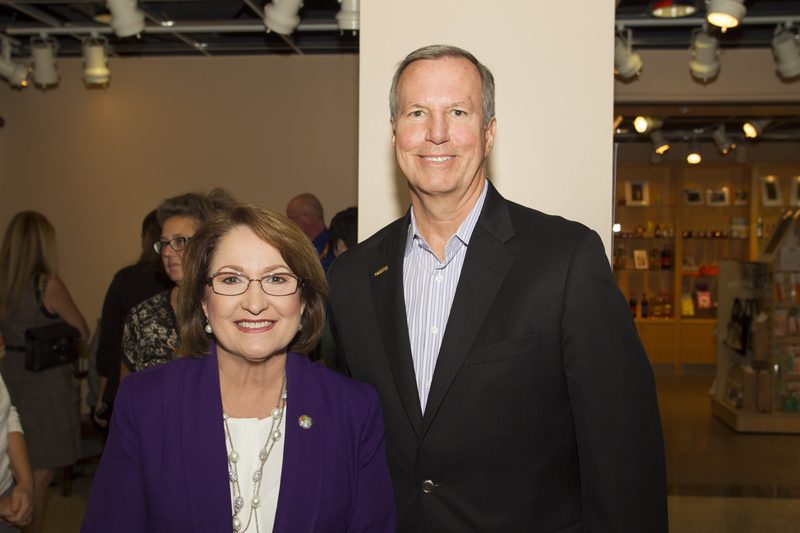 Mayor Jacobs was privileged to join Leo on a Mardi Gras float hosted by the Krewe of Orpheus, and to proudly represent Central Florida. 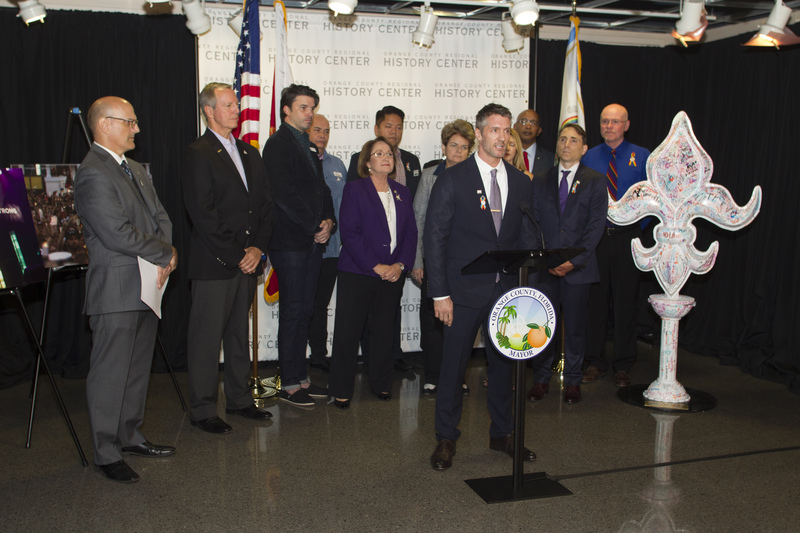 Orange County Government continues to remember and honor the legacies of the 49 brothers and sisters who lost their lives in the Pulse Nightclub tragedy, and continues to honor the Pulse victims and survivors with a series of tributes, events and remembrances – all of which have left an indelible mark on the people and history of Central Florida. 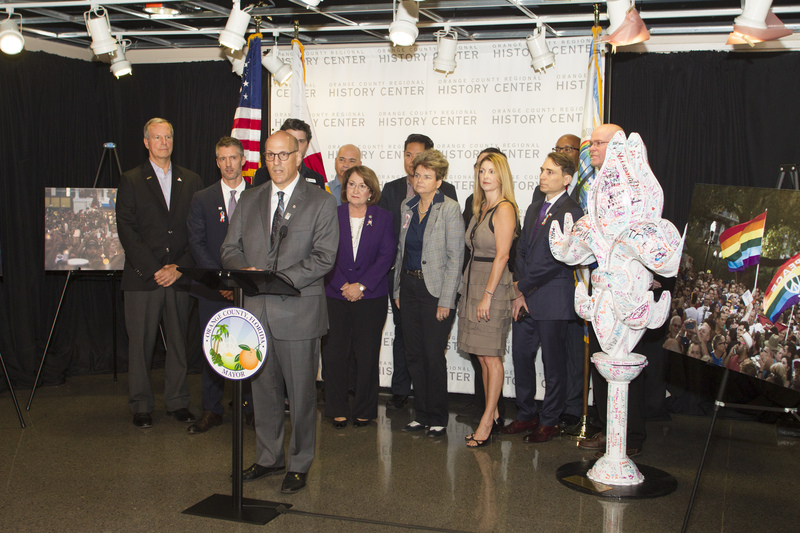 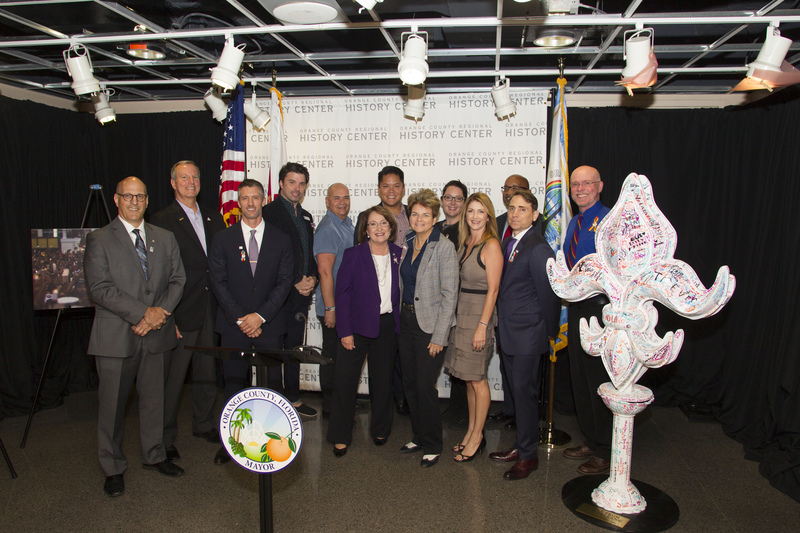 Mayor Jacobs and Orange County’s Regional History Center were recognized in February and March for their efforts in the community after the tragic events of June 12, 2016, when a gunman killed 49 people and injured 68 others. 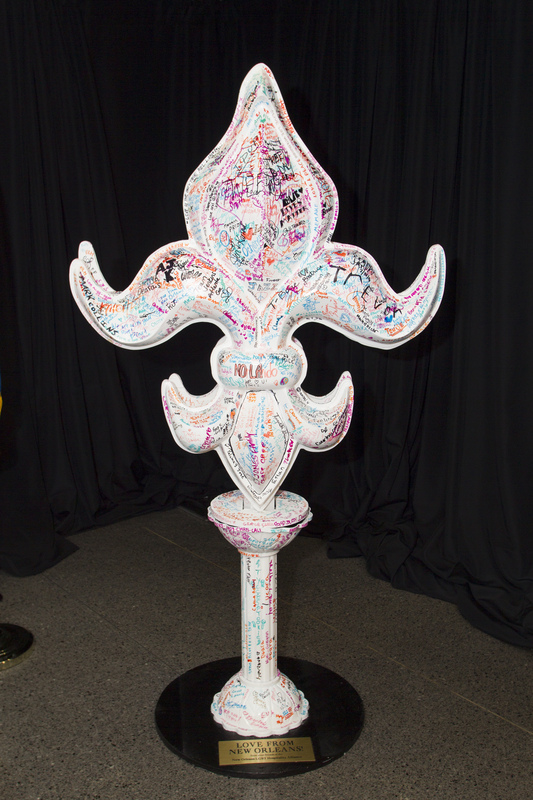 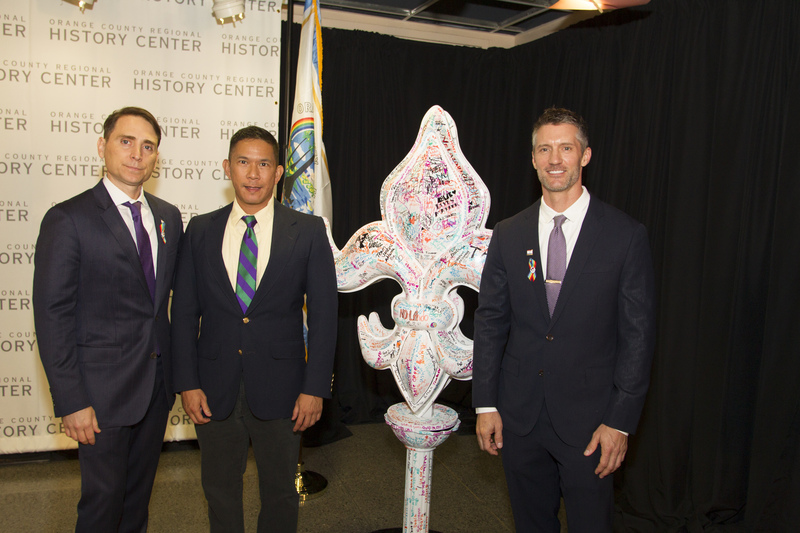 The five-foot fleur-de-lis displays personal messages of condolences and support from New Orleans citizens and was dedicated to the One Orlando Collection at the Orange County History Center. 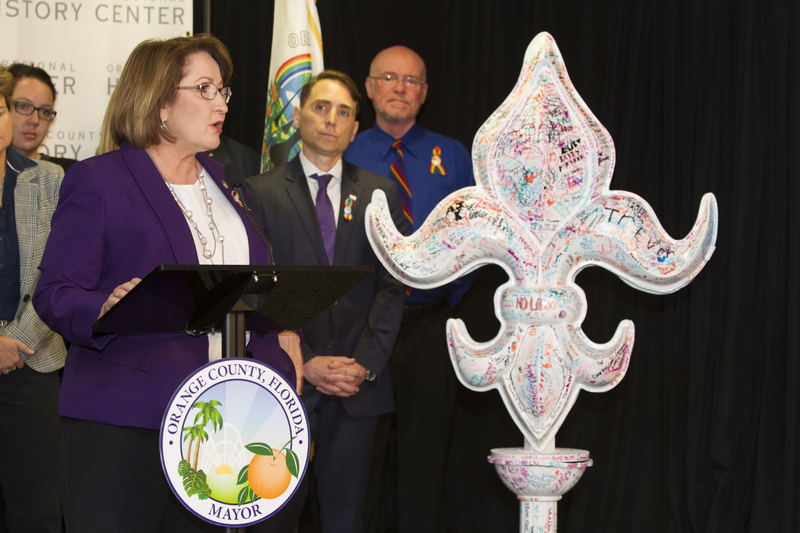 The One Orlando Collection Initiative is a partnership between Orange County Government and the City of Orlando. 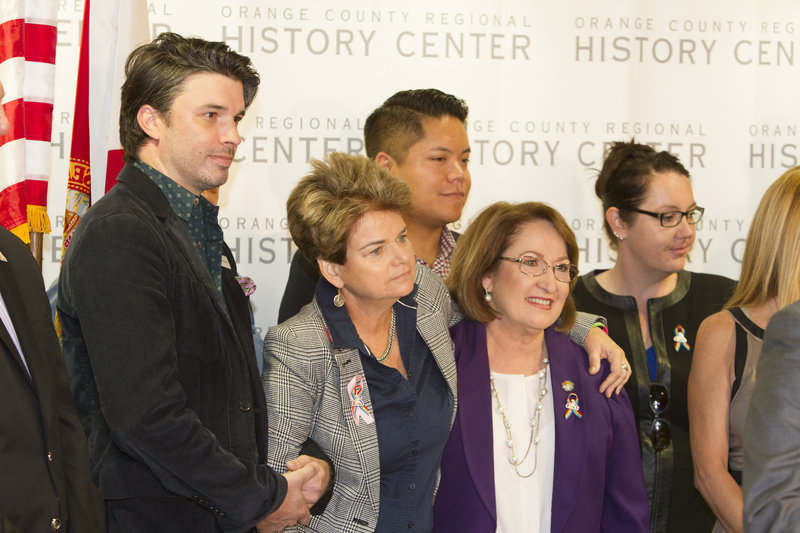 Following the Pulse tragedy, Orange County’s Regional History Center became the repository and caretaker of Pulse tribute items and has photographed, catalogued and preserved more than 5,000 Pulse mementos and remembrances. 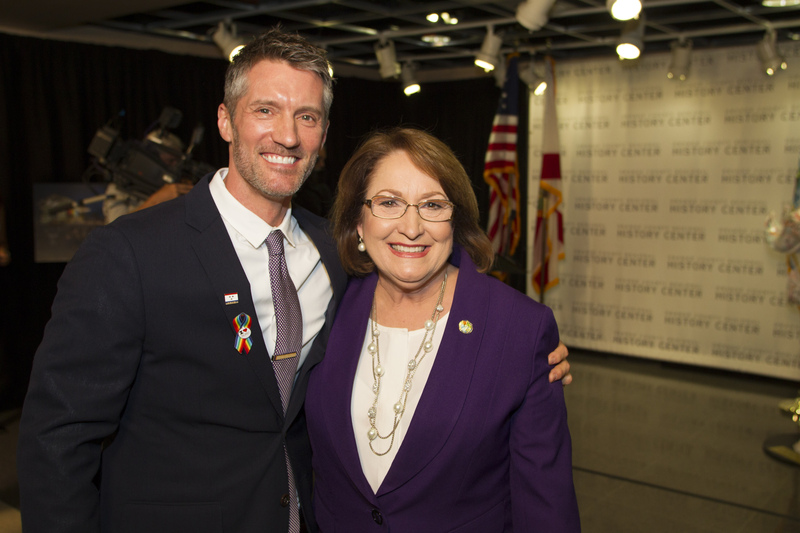 In further acknowledgement of Orange County’s strong connection with the region’s LGBTQ community, on March 10, Mayor Jacobs was recognized by Watermark magazine in their 2017 Central Florida Readers’ Choice Wave Awards as one of the “Greatest Straight Allies to the LGBTQ Community.” The Watermark Awards for Variety and Excellence recognizes the best of the LGBTQ community in the realms of activism, service and more. 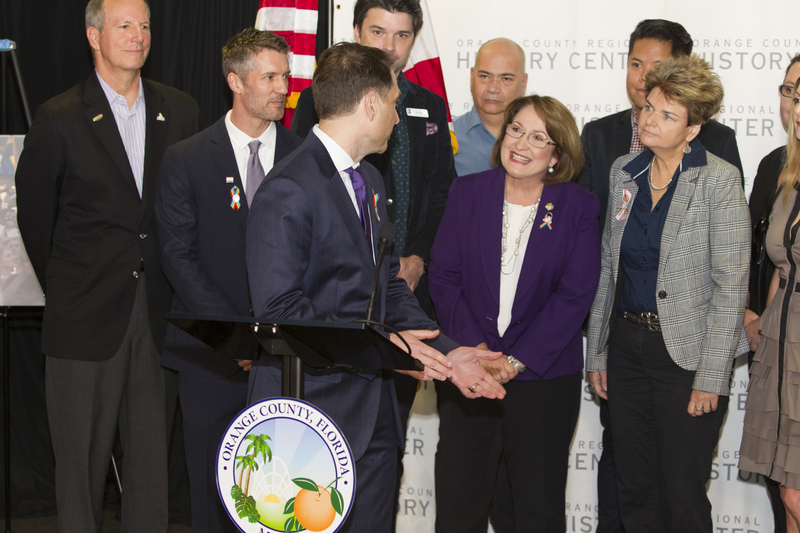 Watermark is a multi-faceted Florida media company with offices in Orlando and St. Petersburg. 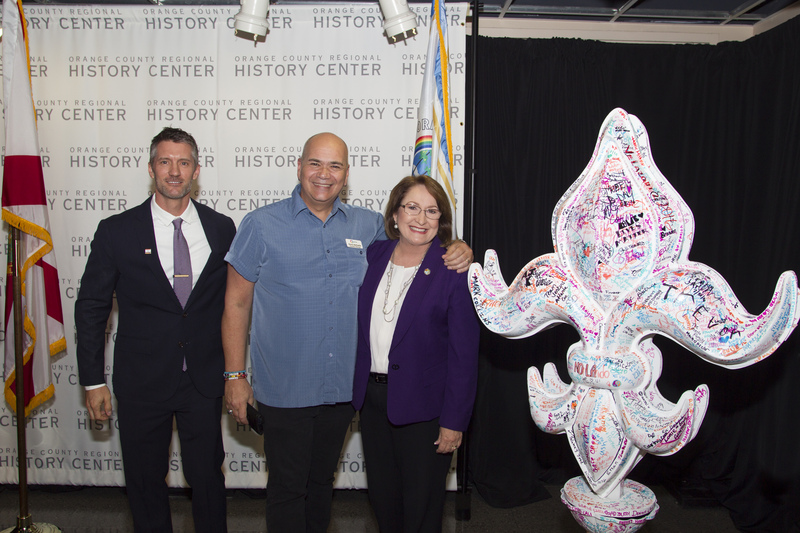 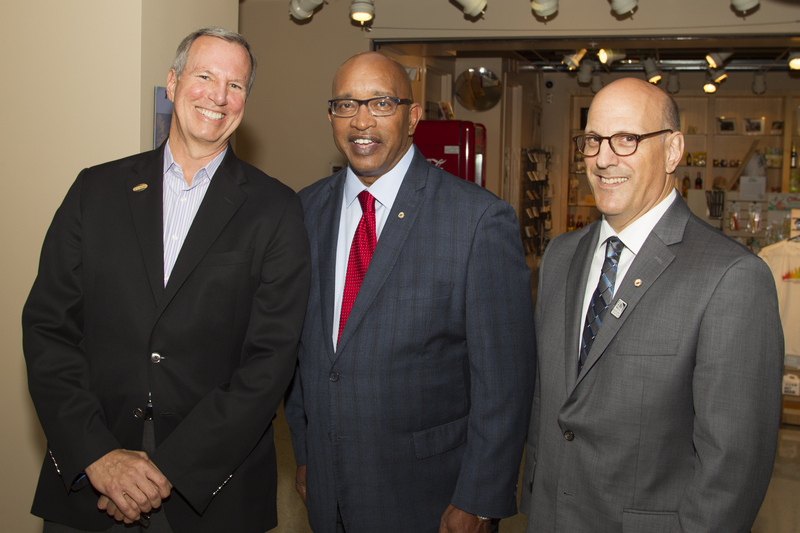 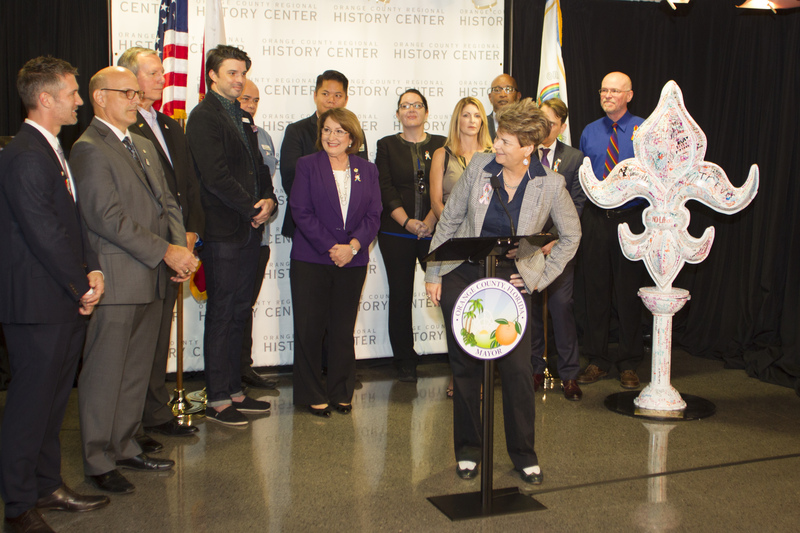 Orange County was also honored to join in celebrating the Orange County Regional History Center “Downtown Orlando Partnership’s Golden Brick Awards,” for their ground-breaking exhibition Pride, Prejudice & Protest, which told the story of Central Florida’s gay, lesbian, bisexual and transgender community. 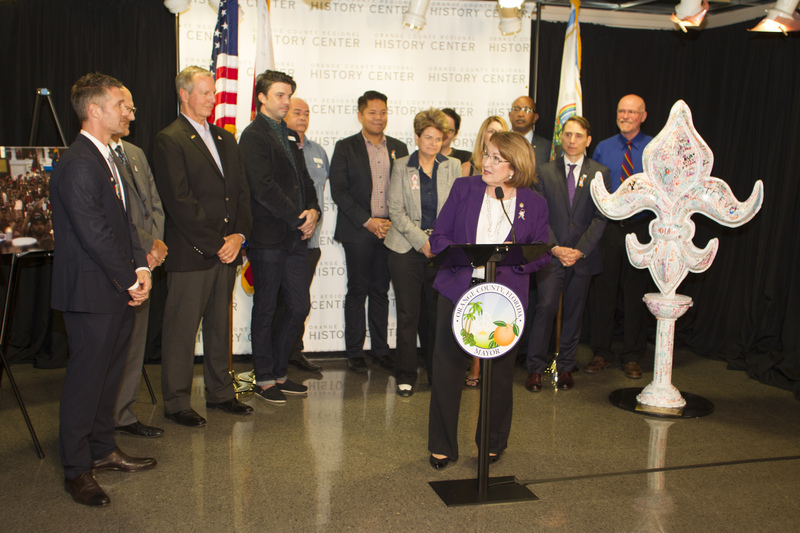 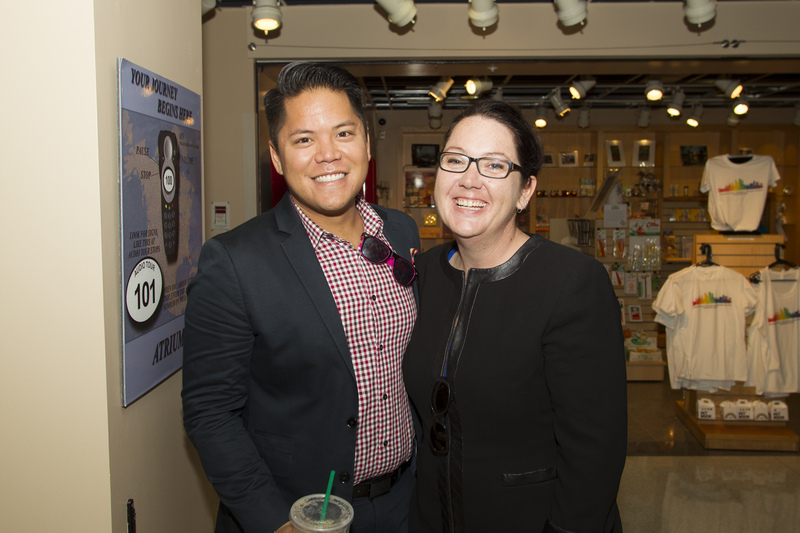 The exhibit received honors in the Diversity category at the March 7 Golden Bricks ceremony and was created in partnership with the GLBT History Museum of Central Florida. 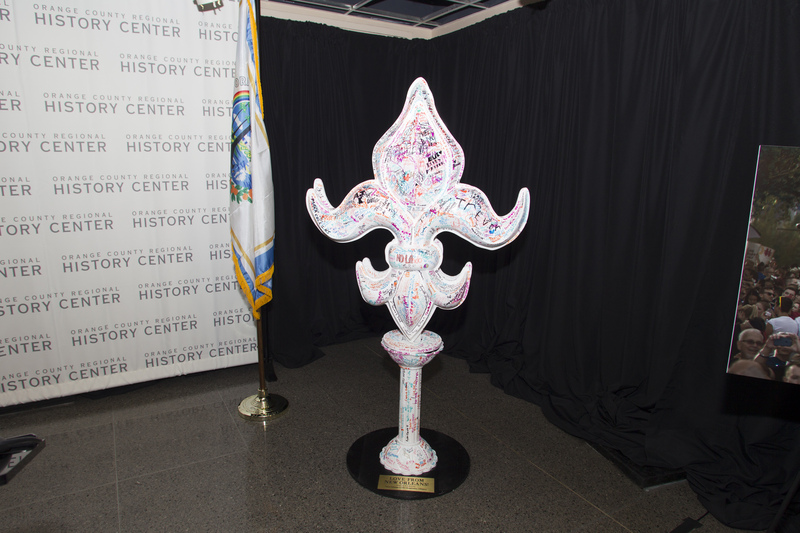 It was on display from Oct. 1, 2016, through Feb. 12, 2017. 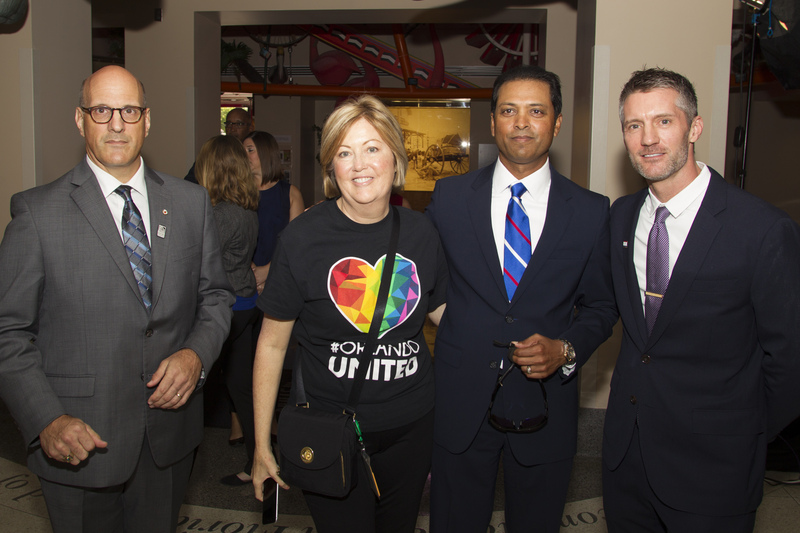 Presented by the Downtown Orlando Partnership, the Golden Brick Awards celebrate community and development projects that have made a positive impact on downtown Orlando.